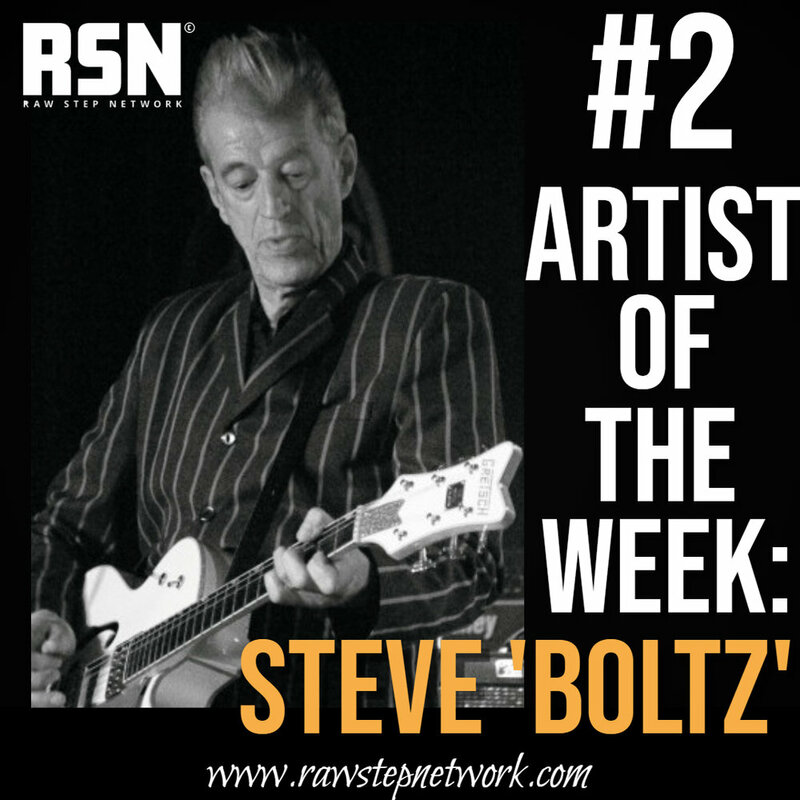 Steve ‘Boltz’ career in music is an extraordinary story and his music credentials are just as amazing as his guitar skills and vocals. His extensive biography features names of the likes of David Bowie, John Otway, Paul Young, and he even appeared as the role of ‘Spyder’ in the Bob Dylan film “Hearts of Fire.” In 2013, Steve was given the Galaxy Music Award which recognises his lifetime achievements within the music industry. He is a role model and inspiration to up and coming musicians and he more than deserves his place on this week’s Artist of the Week. • 1982 - Forms THE VAMPIRE BATS FROM LEWISHAM, a real cult band in the 80s! “Tommy” with ELTON JOHN, BILLY IDOL & PHIL COLLINS. • 1991 - Formed his band, 6foot3 and toured the UK. • 1992 - TV appearances with DONNY OSMOND. Toured with BELINDA CARLISLE. Present - Steve continues to play live with a variety of bands and as a solo wandering troubadour. Steve performs live with his band Dead Man's Corner. "Dead Man's Corner will blow your tiny minds with their guitar twanging, desert stomping, psychedelic grooves and surfing riffs...."
Quite simply this statement is true. We first witnessed Steve Boltz and Dead Man’s Corner in a food and drink festival in Canterbury. The weather in typical British fashion let us down and we were all completely soaked through, but this did not stop the atmosphere from booming and DMC provided audiences with an absolutely thrilling performance. Steve deserves the highest of compliments for his work and we are very honoured to be working alongside such a talent.